Sue was a foundation member of the Zonta Club of Mangawhai and has been a member for the past five years. She was the first Status of Women Chair for the Club and was President for the 2012-14 biennium. Sue’s background is in education and she is passionate about ensuring equality of opportunity for young people, and especially developing leadership in young women. 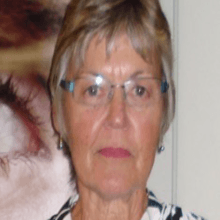 She retired to Mangawhai from her position as Deputy Principal of Takapuna Grammar School in 2008 and since then she has worked in an advisory position to Principals of schools in the local area. She has particular expertise in Strategic Planning, Performance Review and Professional Learning and Development. Sue has four children and six grandchildren and has recently challenged herself by taking up golf. She is actively involved with her family and her community and has recently joined the Board of a newly formed Trust to provide social services to the local area. She and her husband both enjoy gardening, reading, and going away in their caravan to explore different parts of the country. Zonta has provided Sue with valuable friendships, both locally and nationally and given her the opportunity to further develop her leadership skills and contribute in areas of interest. One highlight was the visit of the White Ribbon ride to Mangawhai, and this activity was awarded the Cherry Raymond Award at the 2011 Conference. For this biennium (2014-16) Sue is the District 16 YWPA Chair, a role that combines her background in education with her commitment to leadership development in young women.